Icelandic sod house. From Wikipedia. I really wished they asked me this more when I was a kid. My What Do You Want To Be answer always ended with “a veterinarian” and then some stiff, condescending adult would tell me I would have to go through a lot of school and be really good in math and science, thereby stomping out this dream as if it were a fire. What Do I Want To Be? A good person. An honest person. Witty. Always tell kids their dreams are possible. No, I probably wouldn’t make a good vet, but I didn’t need to know that at eleven. I would have figured it out eventually, the way I have figured out that I am not a good whistler nor a good volleyball player. Trial and error. I am about to create a lesson plan for a travel/food writing workshop I am doing with kids at 826 Seattle – a writing tutoring center. I don’t have kids and am never around them, so I am really nervous they’ll think I am boring. I fear the wrath of spitballs and bad evaluations. What was with that long explanation about chicken fingers and spaghetti? Does she think we actually eat that stuff? I suppose I should start thinking of age-appropriate jokes and stop swearing to prepare. Wild horses. In particular on Sable Island. Kenya. Mainly for safari purposes. I think it’s important for kids to think beyond our borders and to know that there’s a whole world out there. Even if you can’t afford to take big trips, give them books, drive them out of their neighborhood. Let their imaginations wander. What did you want to “see” when you grew up? Have you seen it? Will you see it? I hope you will see it. I hope that whatever you wanted to see, you get there, and that when you get there, you don’t spend two weeks and call your traveling done. Keep seeing things, keep exploring, even after your trip of a lifetime. The best feeling is waking up to new surrounds. 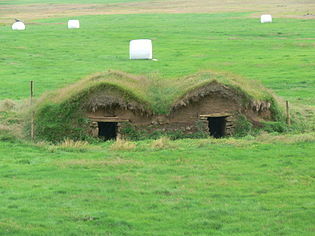 I have been to California and Hawaii and I think I’ve been to a sod house, but it wasn’t in Kansas. I have seen whales twice in the wild – one, a pod of orcas right from shore, five minutes from my house and two – a humpback on a whale watching tour. I have been to many places I didn’t even know about as a kid. My elementary school’s art teacher once told me I would never make it to Venice because “you need money to go there.” What a dumb thing to say to an impressionable child. I was smart enough not to believe her, although I still haven’t been to Italy. Categories: Facts of Life | Tags: kid travel, travel, when I grow up | Permalink. I was born in Berlin, Germany, but my mom and I left when I was only a few months old. Growing up, I wanted to see the city (again, technically.) I still do. I heard Berlin is a great city. I would like to see it too. ive always wanted to see Europe. And i think it would be so cool to see and use one of those no gravity devices that astronauts use. snorkelling and scuba diving is always cool too because you can see things from a way different and watery perspective. i want to see a massive waterfall with a ledge underneath that i can walk through. A gravity device would be so cool. I have been indoor skydiving, but I don’t think it’s the same thing – I am way to scarred at this point to do real skydiving. Scuba diving would be awesome. I would really like to see Angel Falls in Venezuela. So much to see! So little time. New York City was my second real trip. It’s an amazing city. I still feel lucky every time I get off a plane to step someplace new. I think not traveling much as a kid made me appreciate it more.